Thanks to the popularity of reality television shows about the topic, storage unit auctions have become an unavoidable part of pop culture everywhere. 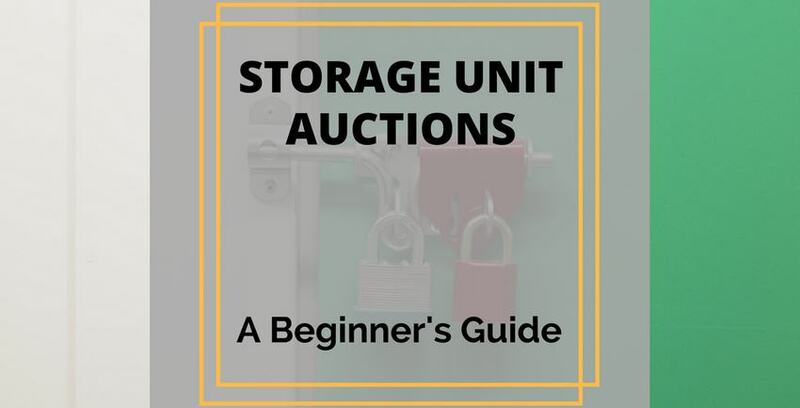 If you're considering attending a storage unit auction yourself for the first time, take a look at our beginner's guide below to prepare yourself. The first question when it comes to storage unit auctions is: why? Why are they held in the first place? Essentially, they are an attempt made by the owner of a unit to make back the money owed to them by a tenant with delinquent payments. Most owners don't have time to individually dig through each unit, so they auction them off en masse. Since you know what a storage unit auction is and why they happen, here are a few tips to help you get a handle on how things work. Auctions are most commonly held on-site at self-storage facilities and can be found by Googling phrases like "storage unit auction + YOUR CITY"
Your best bet is to show up around thirty minutes before the auction actually begins so you have time to sign in, pay your cleaning deposit, and fill out a registration form. Don’t forget to bring cash - you’re not going to get a chance to run back to the bank after promising a certain amount for a unit. Bring a flashlight. Seriously. You only get a small amount of time to look through the units before bidding and you're going to get a better look if you have your own personal light source. Pace yourself. Going through abandoned units takes a lot of time and you don’t want to end up so overwhelmed by an overfull unit that you never actually get through the things you spent your money on. Don’t let your imagination run wild. Bid on what you can see, not what you hope is hidden. Following these tips and using your common sense and a little elbow grease will carry you far when it comes to attending your first - and subsequent - storage unit auctions. If you have any other questions about storage units, how they work, and how you can rent one yourself instead of just bidding on them, the experts at Storage Direct are always there to help.